This past week the Snowmobile Hall of Fame announced the Hunter Houle Memorial New Building Fund. Conceived by Steve & Charlene, it's a way for people to help fund the construction of a new museum at the SHOF in St. Germain, Wis., while memorializing their son, Hunter, who died this past January. 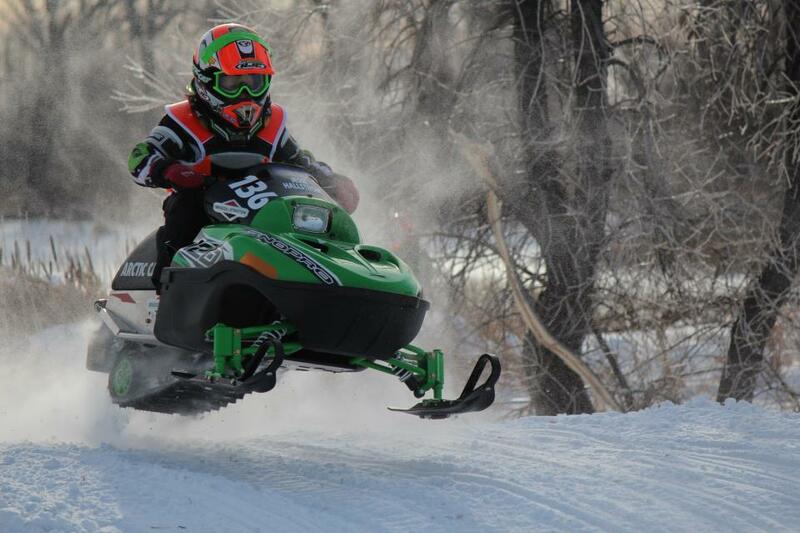 See, touch and ride (if you're a kid) the 2018 line of Arctic Cat snowmobiles on Saturday, March 4 at ERX in Elk River, Minn. This is the first chance to see all the new sleds. 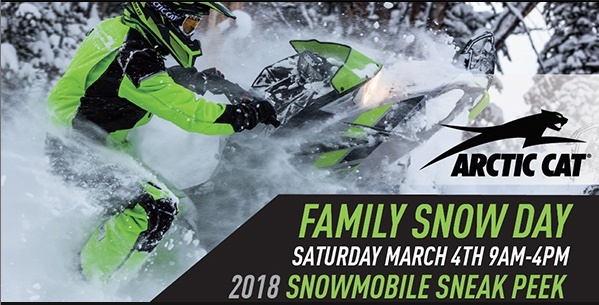 Plus there will be free youth demo rides; vintage Arctic Cat sleds on display; free Cat winter beanie giveaways; the Arctic Cat 360 Virtual Reality Experience; and more. Interested in hanging out with him at 2018 Canterbury race?...CHECK! 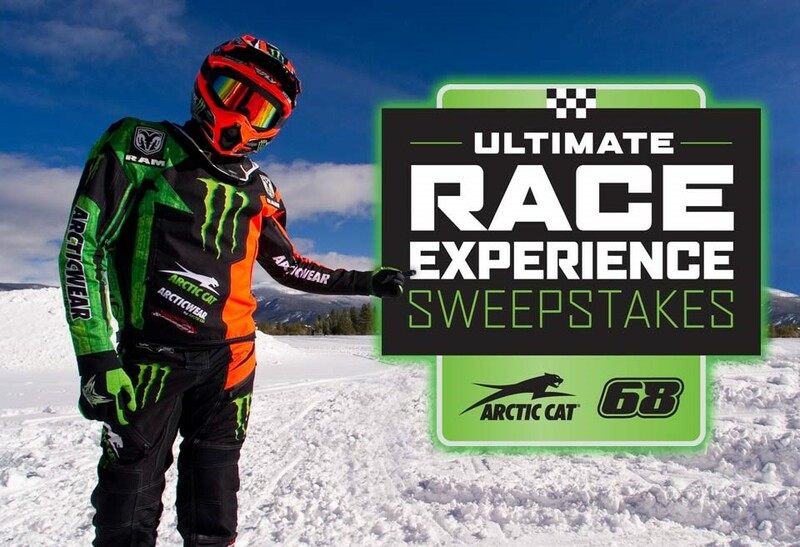 Signed-up* for the Ultimate Race Experience Sweepstakes?...Well, are you? The 2017 USXC Winnipeg-to-TRF-to-Bemidji I-500 returned this past weekend, with a new generation of racers writing their names in a new chapter of this magnificent race. Bitter cold, rough ditches, river, trail...it delivered three grueling days of competition that more than lived up to its legend. Another sweet vid of the M 8000 Early Release getting its groove on, this time via the SnoWest Magazine gang. 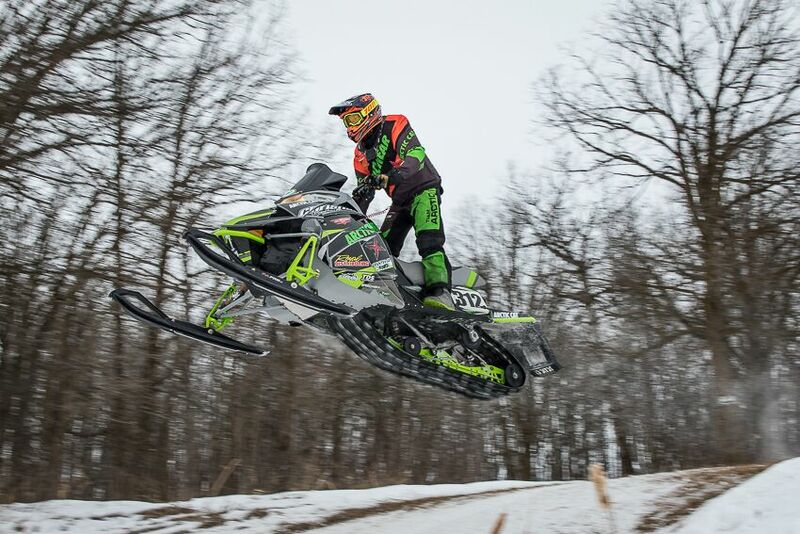 Check out this sweet video of Black Cat David McClure threading the trees on the new 2018 Arctic Cat M 8000 Sno Pro with the C-TEC2 8000 DSI engine. 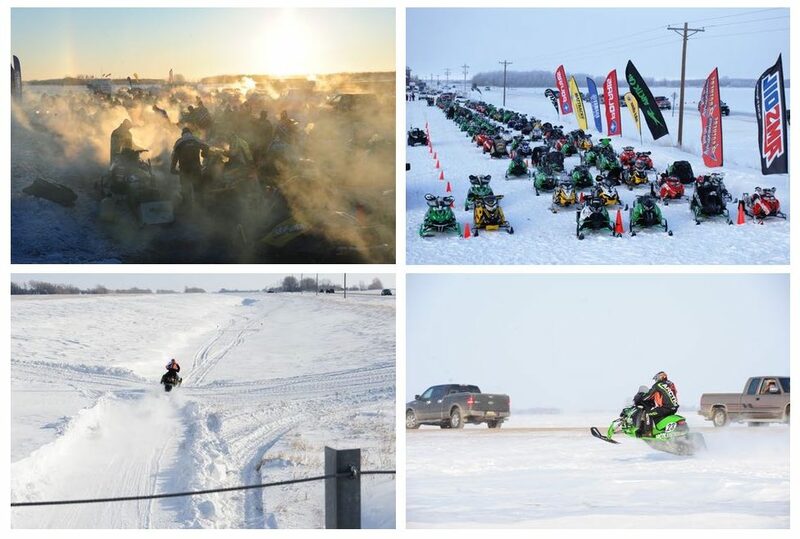 At 10am Wednesday morning, Feb. 7, 82 brave men and women will begin leaving the starting line on the outskirts of Winnipeg to embark on the 2017 USXC I-500. 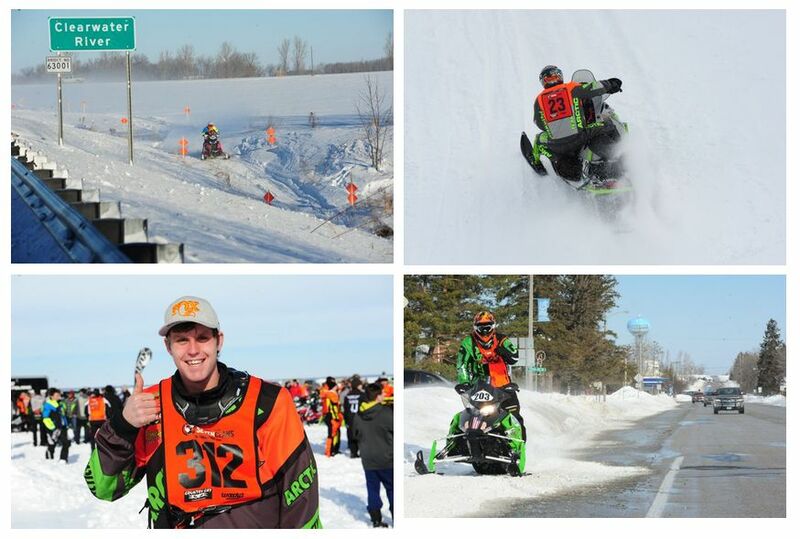 It is the most fabled cross-country race in the world; its origins going back to 1966 when a few dozen pioneers rumbled out of this same town on their way to St. Paul, Minn.
There’s something special and magical about snowmobile racers barreling down a ditchline, chasing the snow dust in front of them while they chase the dream of making it to the finish line. Click to see a few pix of this magic (as well as the starting list for this year’s race). And join me in wishing ALL I-500 competitors the very best of luck. Team Arctic has been kicking fanny in recent weeks, as evidenced by the results from the USXC TRF 300 and RMSHA hillclimb opener. Click to read the official team press release. 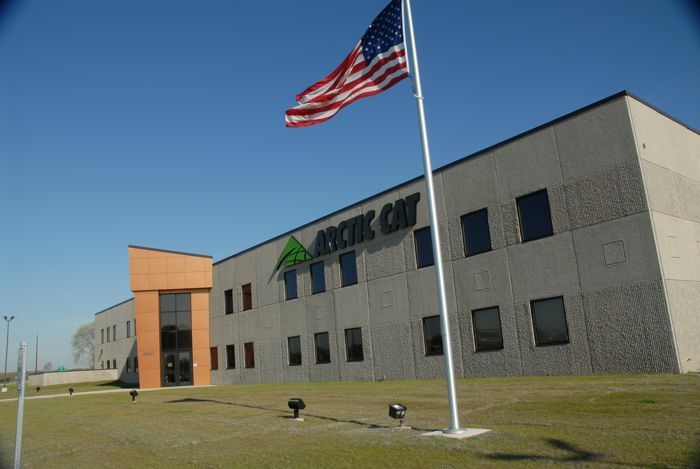 This past month, Scott Eilertson closed a chapter on an 18-year career as a district sales manager for Arctic Cat. 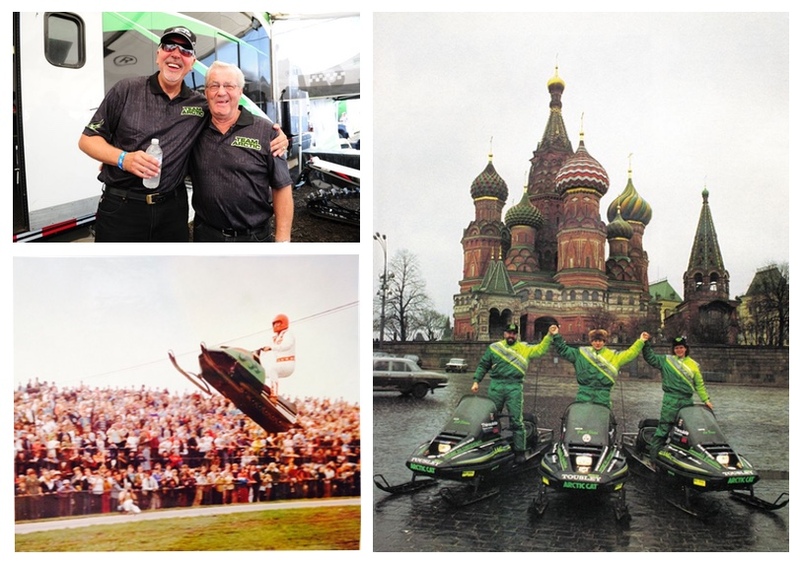 Outgoing, passionate about Arctic Cat and always smiling, Scott had been a welcome presence at motorsports events for more than 30 years. He chatted with me about his amazing career that included jumping snowmobiles with Evel Knievel, riding to Moscow and helping to save a young girl’s life. This weekend marks the 49th running of the Soo International 500 enduro in Sault Ste. Marie, Michigan. 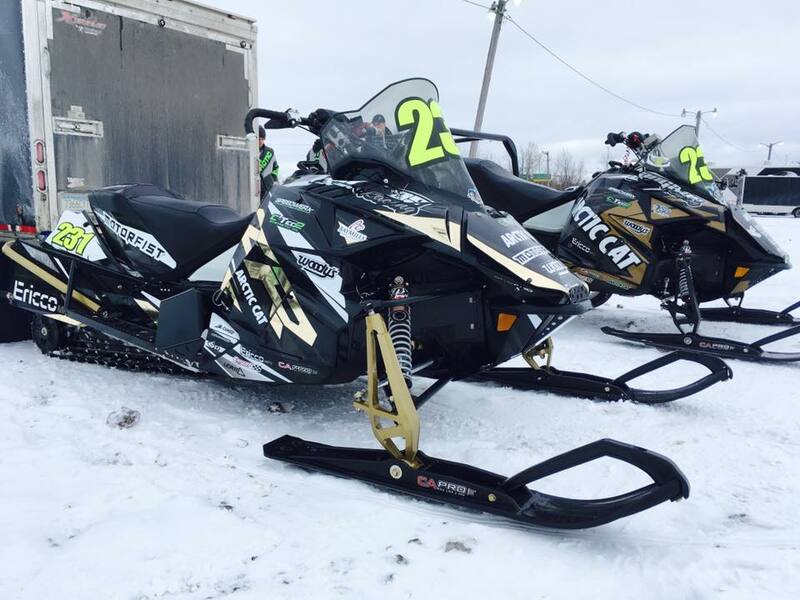 Team Arctic racers are there in full force, with a fleet of mod ZR 6000R race sleds powered by Speedwerx-built Arctic Cat C-TEC2 EFI engines. Will this be the third year that Cat wins this big one? Click to see some Cat race sleds in the pits. 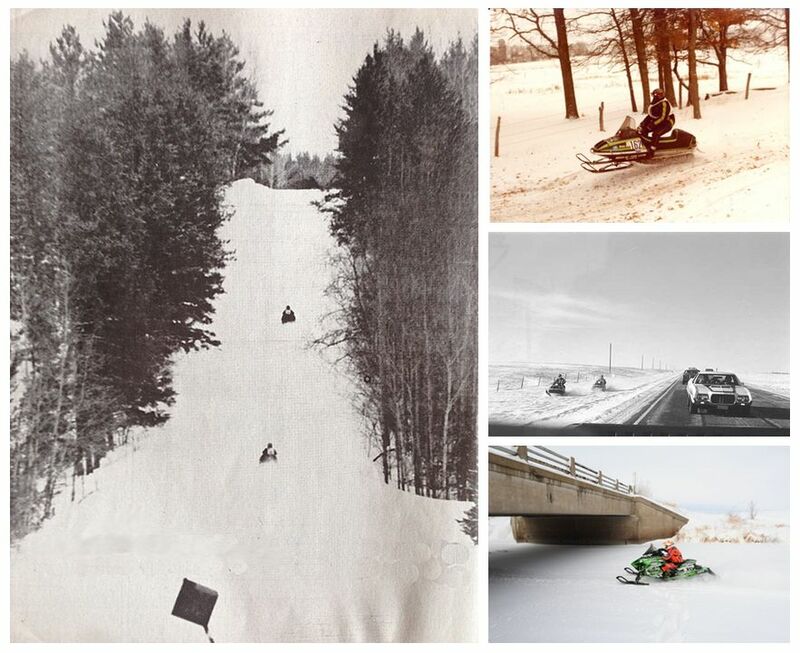 Next week, when a hundred plus cross-country racers from all over North America come to NW Minnesota for a crack at the famed I-500, it will be yet another great chapter in a tradition that goes back to the 1960s. Likewise, on the weekend of Feb. 4-5, the DMC group will once again hold their "Mini I-500" for 120- and 206-class racers (as well as Transition, Junior, Sport and Vintage), helping foster the next generation of I-500 racers. This year the Mini is actually going to be an I-50. Yep, a 50-mile XC. Arctic Cat just released the 2017 VLX 700 ATV, a full-sized machine with 700-class power with an MSRP of just $5,999 U.S. ($7,199 Canada)! As Cat says, that's 400-class pricing for a 700cc machine. 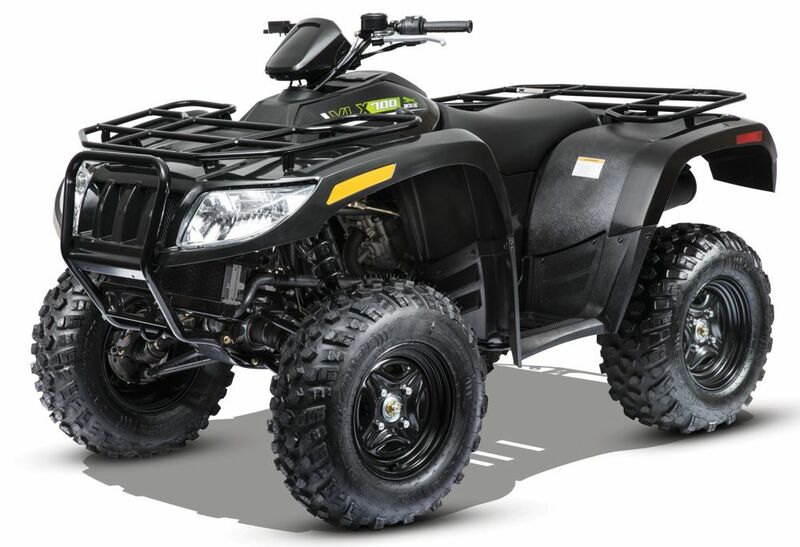 A no-frills, rugged ATV with a 700 EFI engine, selectable 2WD/4WD and a price that's SO EASY to justify...I think this machine is exactly what a whole bunch of people want. There's so much great racing to see and experience in January and February. Case in point: this awesome final at the Vintage World Championships, in which Team Arctic's Keith Badour shows the AMAZING speed of his custom King Kat Mod 800. The 2017 USXC I-500/I-600 is going to happen (albeit in three days instead of four)! Instead of a four-day, 600-mile race ending in Willmar, Minn., the newly revised route calls for a three-day, 500-mile route that begins in Winnipeg and finishes in Bemidji, Minn.
Winter is alive and robust between Winnipeg and Bemidji, which will make this an I-500 to remember. Registration ends tomorrow night. If you've been on the fence about competing in this race, I can tell you from experience that it's an experience of a lifetime. You will cherish the decision to race. So come run with the boys from Winnipeg to Bemidji! Click to read the financial release. 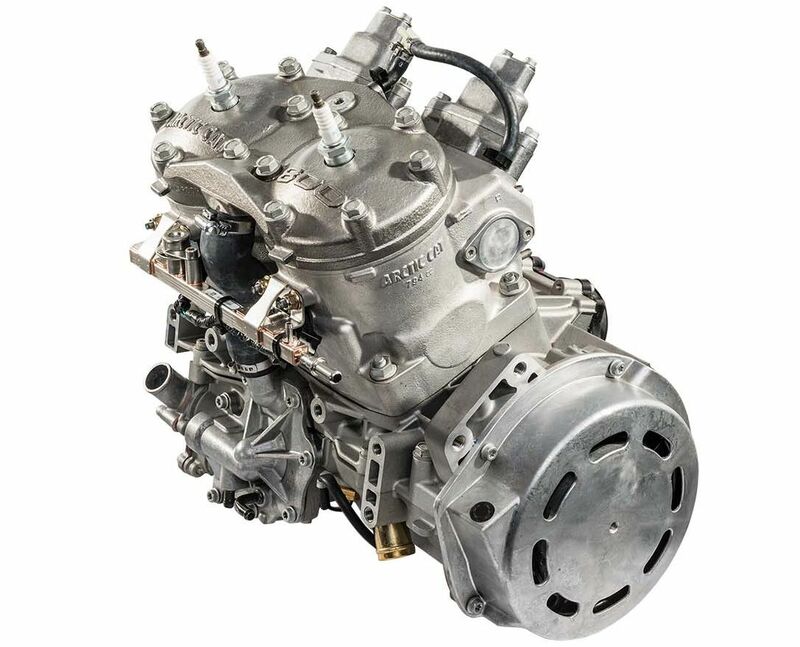 Learn more about the new Arctic Cat C-TEC2 8000 engine.